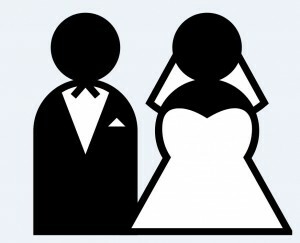 Home > Tax News & Info > Just Married? Not surprisingly, the last thing two people think of when saying "I Do" is taxes. However, to reduce stress at tax time, there are a few important steps to consider. Notify the Social Security Office: Make sure to report any name changes to the Social Security Administration by filling out Form SS-5. This will make sure that your new name will match your social security number when you file your tax return. Update your address: You should fill out Form 8822 to notify the IRS of your new address. You should also update your address with the US Postal Service at https://moversguide.usps.com/icoa/icoa-main-flow.do?execution=e1s1. Notify your employer: Make sure to update any name or address changes with your employer to make sure you receive a correct W-2 after the end of the year. Check your withholding: The combination of you and your spouse&apos;s income could place you into a higher tax bracket. To make sure that the proper amount of tax is withheld from your wages you can take advantage of the IRS Withholding Calculator. Using the information from the withholding calculator make sure to fill out a new Form W-4 to give to your employer so they can start withholding the correct amount from your pay. Selecting the correct tax form and filing status: Newly married taxpayers might have enough deductions to itemize on their tax return. Be aware that itemized deductions can only be taken on Form 1040, not 1040A or 1040EZ. A person&apos;s marital status is determined by whether or not they are married on the last day of the year. However the IRS allows a married couple to file separately, if desired. Calculating your return with each status will allow you to see which gives the better benefit, however filing jointly is usually the better choice. Lastly, Congratulations from BHB Advisors, LLC on your new marriage, and please contact us with any questions you may have on these tips. « Had a baby this year? Learn what that means to your taxes….